It’s being reported that passengers aboard a Cunard cruise ship have been angered after the vessel circled the English channel for four days and a small reimbursement. The Queen Elizabeth was sailing a special Christmas cruise and was scheduled to call at Amsterdam, Netherlands on December 21st but due to bad weather conditions the 90,900 gross ton ship just sailed around in circles in the English channel. Guests were excited to visit the cities Christmas markets and was the main reason why they booked the cruise. It is a great pity that due to terrible weather conditions the ship was not able to dock in Amsterdam. The captain looked at two alternative ports of call which were both unsuitable due to similar weather conditions. Whilst we are so sorry not to have called in Amsterdam the safety of our passengers and ship will not be compromised under any circumstances. Guests have been given a gesture of goodwill for this and we put on additional entertainment onboard as well as all the usual activities and fine dining as you would expect from Cunard. Apparently passengers onboard were livid after being stuck at sea just circling around. Queen Elizabeth never made it to Amsterdam and ended up heading back to its homeport of Southampton, UK. Passengers demanded to speak to the captain by storming the ships information desk and causing a small mutiny. Cunard Line told the 2,100 passengers onboard that they would receive a $75 onboard credit which is around 48 UK pounds. The amount of credit given to guests made the situation even worse after guests paid around 400 pounds for the cruise ticket. Cunard said that two alternative ports were looked at but the weather conditions also wouldn’t allow the ship to dock. Extra entertainment was put on along with activities to keep the guests busy. Passengers could also pick up on strong Diesel smell in certain areas of the ship. but Cunard have not yet told us what it was. 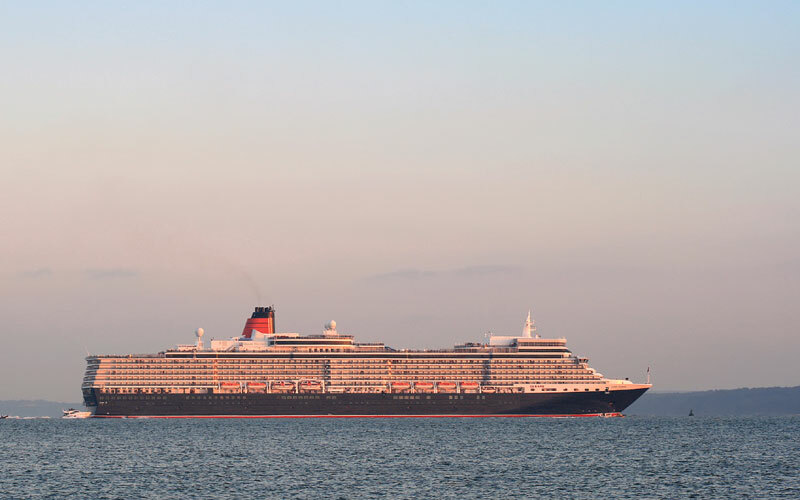 The Queen Elizabeth cruise ship has now arrived back in Southampton and now angry passengers have had the chance to report to the media what happened. The ships next cruise will depart Southampton on December 23rd on a Canary Island cruise.